Pyrotechnic systems for law enforcement and civil applications. Alsetex is a specialized manufacturer of pyrotechnic law enforcement products (systems, launchers, munitions, ammunition, etc.) and provides a range of products to prevent natural hazards (avalanche, hail, draught) and for pest control (birds). Alsetex is a pyrotechnologies systems and services specialist dedicated to law enforcement and civil safety. We provide services spanning the entire life cycle of innovative pyrotechnic solutions: feasibility, design, development, industrialisation, qualification, production, storage, delivery, installation, training, maintenance, reuse, collection and dismantling. Alsetex Provides a wide range of associated services, such as design, certification, training, logistics and dismantling. 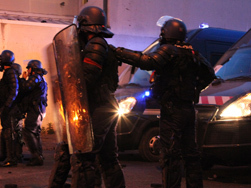 In France, our law enforcement products meet strict government specifications. 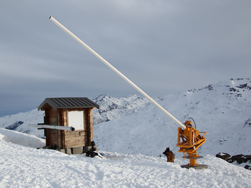 The avalanche control system is used to ensure safety at ski resorts. The smoke generators are designed for aeraulic testing and fire simulation. The signalling product range is destined for professional and leisure use. Values shared throughout the company; ambitious quality objectives checked monthly; commitment to lasting customer satisfaction. For the export of law enforcement products, Alsetex strictly complies with the decisions of an interministerial commission endowed with sovereign decision-making authority. These relevant departments of the French government have complete discretion to provide practical and prompt decisions. Alsetex provides a range of pyrotechnic products for natural hazard prevention and pest control (avalanche, hail, draught, birds, etc.). 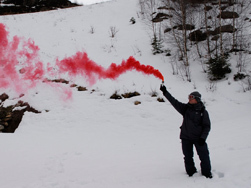 A range of non-toxic smokes meet the requirements for aeraulic testing and training. Distress signals of varied effects for aviation, road, railway and nautical use comply with regulatory standards. 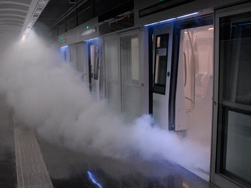 On January 21st, a large-scale public safety exercise was held in the LiNO tunnel in Dijon.